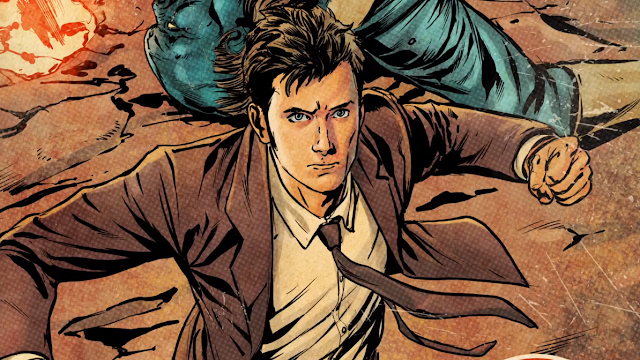 Tiny Rebel Games have unveiled the next episode of the comic book style puzzle game Doctor Who Infinity. 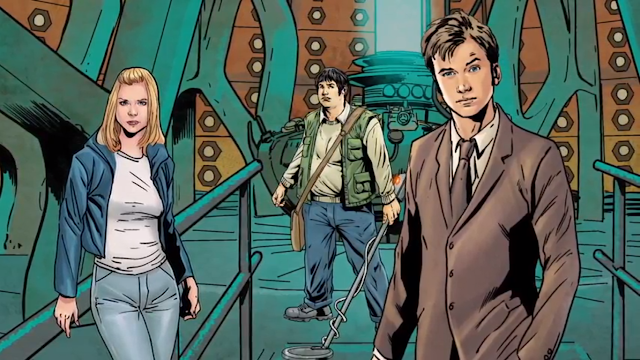 Starring the Tenth Doctor and Rose Tyler, The Lady of the Lake is written by Scott Handcock (who has directed and written numerous Doctor Who audio adventures for Big Finish) with artwork by Neil Edwards (Justice League) and coloured by John-Paul Bove (G.I. Joe) and Dylan Teague (Doctor Who Magazine). 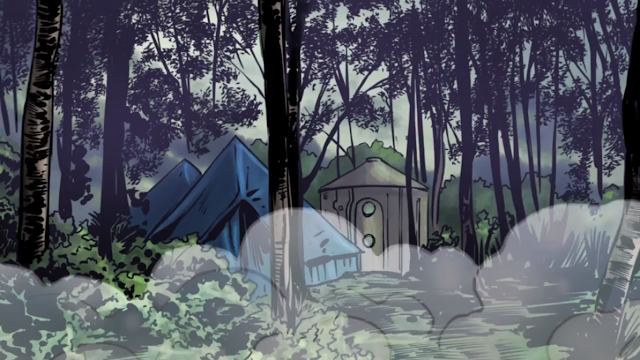 A dense fog, as well as a full blown alien war have descended on a small village. 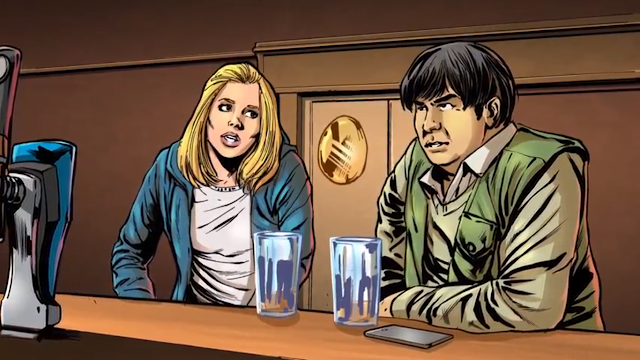 Luckily the Tenth Doctor and Rose Tyler have just arrived on holiday. 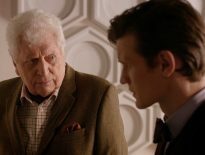 As a piece of alien weaponry poses an existential threat to mankind, the Doctor has to team up with a local poet as they try to unravel the mysteries of why a Lady has been seen walking over the surface of Llyn-y-Van Bach Lake, and why all the animals nearby have been dying at midnight. 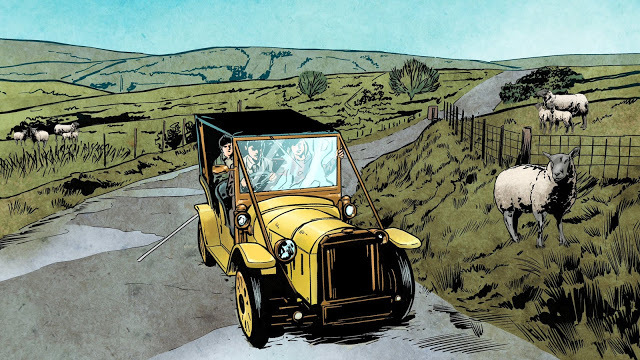 The story will be narrated by critically acclaimed actor Celyn Jones (Submergence) as the character Geraint. Other voice over artists include Jo Grant herself, Katy Manning as Delyth and Marilyn Le Conte as the eponymous Lady of the Lake. 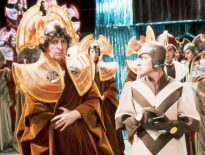 The story will be the third title of Doctor Who Infinity released this year with The Dalek Invasion Of Time featuring Peter Capaldi’s Doctor, and The Orphans of the Polyoptra, featuring Jon Pertwee’s Doctor, both already announced. 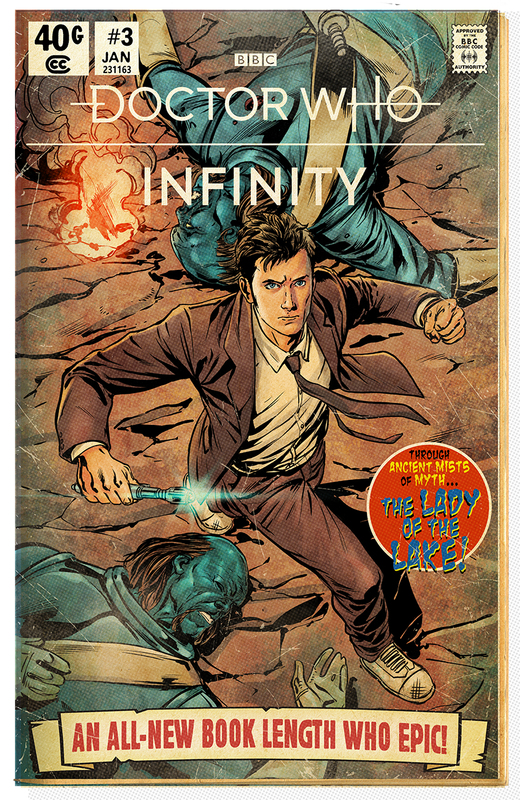 Doctor Who Infinity is set to launch this August on Steam and Green Man Gaming. The game will be available on iOS and Android later this summer.